Most wouldn't think of Miami as a mecca of plant-based cuisine, but perhaps with the recent opening of plnthouse, this culinary movement can grow on more people. The restaurant, situated in the second floor of 1 Hotel in South Beach, is the second of award-winning chef and author Matthew Kenney's concepts to hit the 305. From winning Best New Chef in America in 1994, to being a two-time James Beard Award nominee, to receiving the 2006 VegNews Chef of the Year, it's apparent this raw vegan culinary master has raw talent. 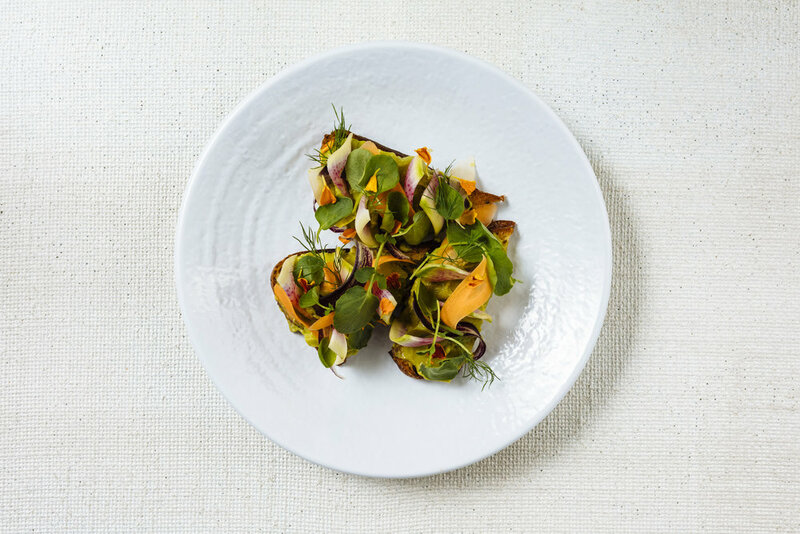 Along with Plant Food + Wine in Wynwood, which is Kenney's artistic and elegant plant-based restaurant that serves organic wine, its more casual sister plnthouse is bringing delicious meals that also emphasize on the importance of wellness, as well as nature and sustainability. Kenney doesn't simply achieve this mission for connectedness between the Earth and food with his restaurants around the globe, he also does this through Plantlab, a lifestyle company that brings together nutrition and culinary art in several business segments, including hospitality, education, and media. "The health and wellness lifestyle is gaining a great deal of momentum in Miami, so we wanted to reinforce this platform and educate the public on Plantlab’s philosophies and techniques through plnthouse," Kenney said, when asked about why he chose to plant plnthouse on the Beach. I’m really excited to be working with the 1 Hotel South Beach, because plnthouse is the hotel’s first plant-based restaurant. As always, we are focusing on locally sourced, sustainable ingredients, only now at a grab-and-go convenience." 1. Miami isn't the city most people would typically think of first when it comes to plant-based cuisine. Why were you confident to make the 305 plnthouse's home? Matthew Kenney: My hope is that plnthouse will make it easier for people to integrate a plant-based diet with their everyday routines. Miami is already ahead of the curve when it comes to being active and making healthy lifestyle changes, and I wanted to offer a restaurant option that made this diet readily available to individuals from all walks of life. 2. Any personal favorite menu items? What do you suggest that first-time guests try, especially those guests new to plant-based cuisine and who "fear" your menu may not be for them? MK: Any of our smoothies can be turned into meal-replacement bowls with natural superfood granola and tropical fruits, which a lot of our guests enjoy. The One Salad is quite popular, complete with shaved vegetables, hemp seeds, sunflower sprouts, avocado, and more. We also have really great shareable plates, like Sprouted Garbanzo Hummus and Yuzu Guacamole with Wasabi Crackers. 3. Why did you choose to adopt a raw vegan lifestyle? As both a chef and diner, what would you say the biggest challenges and rewards of plant-based cuisine are? While living and working in New York city, a friend of mine took me to a raw vegan restaurant. When I looked around the restaurant, I realized how vibrant and beautiful the people eating the food were but how lacking the space and actual cuisine was. I think I would call that my "eureka" moment, as it was then I decided to get into the plant-based world. I’d say the biggest challenge that comes with plant-based cuisine is the lack of mainstream accessibility and popularity. There can be a misconception around raw foods that it is not as flavorful or filling as other foods, and my goal is to change people’s minds with our fashionable, easily accessible restaurants. 4. In your years of experience, what changes have you seen in plant-based cuisine the last few decades and where do you see the future of it going? MK: In general, the health and wellness lifestyle is gaining popularity, particularly in "wellness hubs" like Miami, Los Angeles, and New York. I definitely see people opening up to plant-based cuisine more often and appreciating the healthfulness and beauty of plant-based foods. I love sourcing all seasonal and local ingredients and creating plant-based cuisine that is both refined and nourishing. I truly believe this is the future of food. 5. Any last tips for curious diners or aspiring chefs in Miami who want to be successful in plant-based cuisine? A plant-based diet does not need to require 100-percent adherence. It’s more about consciously incorporating plant-based choices into your diet whenever possible.